Evergreen perennial. Low-growing mound of small gray-green leaves create a tidy small-scale ground cover. 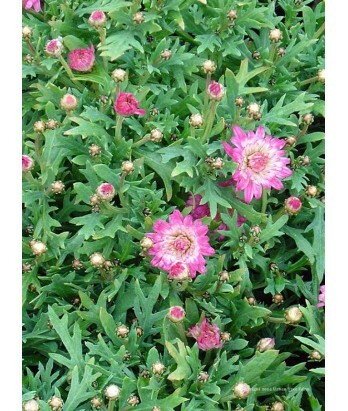 Delicate five-petal double rose pink flowers cover the plant late spring through summer. Deer resistant. Moderate water needs in well-drained soil once established. Hardy to 25°F.